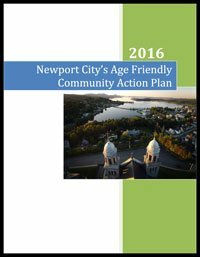 Newport is the first city in Vermont to join the AARP Network of Age Friendly Communities. Located at the southern end of Lake Memphremagog, a 32-mile waterway that's shared with Canada, Newport is the county seat of Orleans County, one of three counties that make up the Northeast Kingdom, a rural region of northern Vermont known for its natural beauty and resources. The Northeast Kingdom is also the most economically depressed area of Vermont and has both an 18 percent poverty rate — 5 percent of residents over age 65 live below the poverty line — and the highest unemployment rate in the state. 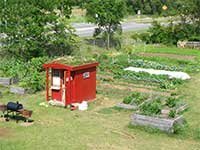 Still, the city has many community assets, including thriving community gardens and collaborative citizens who are committed to improving the community for all residents. In fall of 2014, Newport's Age Friendly Community Advisory Council distributed a survey to 4,000 Newport and Orleans County residents over age 45. The survey asked recipients questions related to eight domains of livability established by the World Health Organization (WHO). The survey's response rate was 27 percent, and a final report with analyzed results was delivered in April 2015. Newport's Action Plan (which can be downloaded at right) of recommendations and implementation tasks was developed by Advisory Council members, community stakeholders, and work groups dedicated to each of the eight domains. Those domains include town information, outdoor spaces and buildings, transportation, job opportunities, health services, housing, caregiving, and social participation. Increase the number of seniors who receive community information by 20 percent, in part through developing a monthly or quarterly news memo to be included in Meals on Wheels deliveries and to be distributed to seniors and homebound residents. Audit outdoor spaces and resources and create a user-friendly map or pamphlet of available resources that can be distributed to the community. The majority of residents (88 percent) drive to get around, and transportation costs for Newport residents are higher than the national average. The plan proposes increasing the use of the region's existing public transportation services by all residents. Assess the needs, beliefs and practices of Orleans County employers toward older workers and people with disabilities or special considerations. Support the Upper Kingdom Food Access food education committee to increase educational opportunities related to healthy food growing, purchase, storage, and preparation. The majority of Newport residents (89 percent) own their own homes and more than a third will need to modify their homes so they can continue to live there as long as possible. The action plan recommends an outreach strategy for upgrading existing single family homes through loans and grants. A quarter of Newport residents have once or are currently providing care to a loved one. The plan recommends increasing case management for older adults who are experiencing caregiver abuse, family caregiver abuse, and financial abuse. Coordinate a clearinghouse of handyman-type services. The 30-page plan begins with a brief overview of the city and its demographics (page 4). The majority of the report (beginning on page 8) addresses each of the eight domains and provides an analysis of current conditions, opportunities, existing age-friendly projects, and recommendations and next steps for each. Those recommendations are further broken down to identify action steps, lead organizations and a timeframe for implementation.